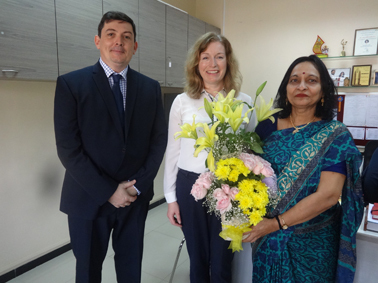 The students of MET Rishikul Vidyalaya got a wonderful opportunity to connect with Ms. Linda Bramwell, School Liaison Manager and Mr. Andrew Field, eLearning Manager of the Cambridge Assessment International Education (CAIE) to discuss their progress in Global Perspectives. 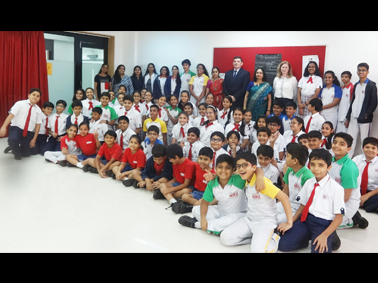 The enthusiastic MRV students and teachers interacted with the Cambridge representatives about their reflection of the subject and their skill development. The integrated efforts of the MRV teachers were appreciated by both the Cambridge representatives. Ms. Linda Bramwell and Mr. Andrew Field were impressed by the MRV campus and it’s initiative to make MET Institute of Mass Media available to AS and A Level students willing to take up Media Studies as one of the subjects. With an active participation from the students, MRV hopes to take this subject forward with promising results for the holistic development of the students.